Books, ice cream and toys on this way this year. 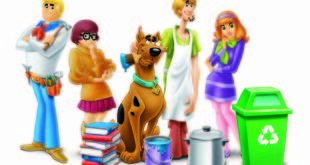 Warner Bros. Consumer Products has outlined franchise developments for the Scooby Doo brand. Scooby-Doo was named in a recent UK poll as the No. 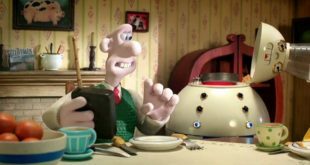 1 children’s TV show amongst parents who tune in ‘for the nostalgia’, and three new feature-length animated Scooby-Doo DVDs are set to arrive on shelves in 2014. These include Scooby-Doo! WrestleMania Mystery released for Easter, Scooby-Doo! Field of Screams for May half-term and Scooby-Doo! Frankencreepy for Halloween. 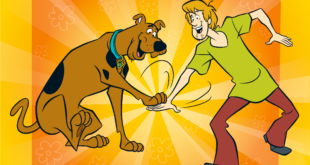 “Scooby-Doo continues to demonstrate its ability to entertain and engage not just fans but also licensees and retailers who reap the positive benefits of an association with this classic brand," said Paul Bufton, general manager, Warner Bros. Consumer Products UK. Scooby-Doo will also be the focus of two live stage adventures in 2014. Scooby-Doo! Mystery of the Pyramid opened earlier this month and will tour the UK and Ireland for four months, visiting 23 towns and cities along the way. Scooby-Doo, Shaggy, Fred, Velma and Daphne have also just taken up a two-year residency at Butlin’s and will be entertaining families across its three sites in a new show. 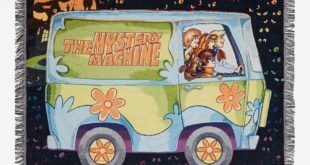 Character Group will launch multiple new Scooby Doo product lines over the next 18 months, including the Scooby Doo Monsters In The Dark Mystery Machine, a 2-in-1 play-set that sees the Mystery Machine open out and turn into a torch. Elsewhere, children’s publisher Curious Fox will be launching a range of Scooby-Doo books, and Beechdean will be launching a range of premium Scooby-Doo ice cream in Q2 2014.